Astronomical Halo. Simon Marmion. 1460. Rich, deep, mysterious, the symbolism of astrology has shaped and the human imagination for a long, long time. Using astrology’s stories to understand our world –– the politics, the history, the art, the people, oneself –– enriches and intensifies the experience of living. It also reveals pattern, rhythm and meaning. 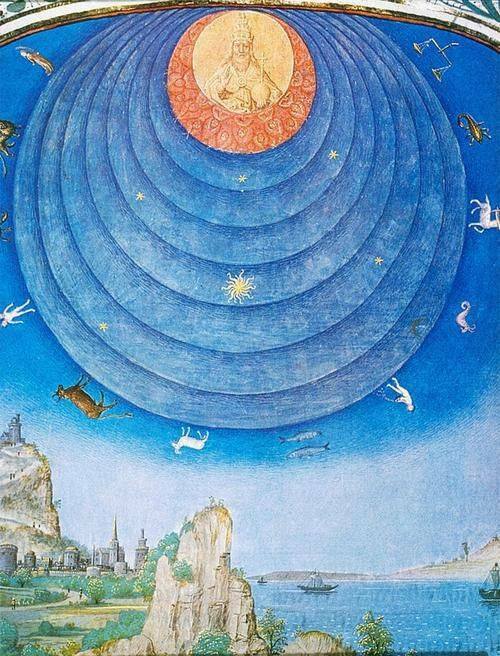 The Oxford Astrologer is a place for thinking and dreaming, and diving into the delicious possibilities that emerge when astrological symbolism meets real life. When I started this blog, the plan was simple: to write about real astrology honestly with clarity and vigour, and see what happened. Well, the plan is still the same. 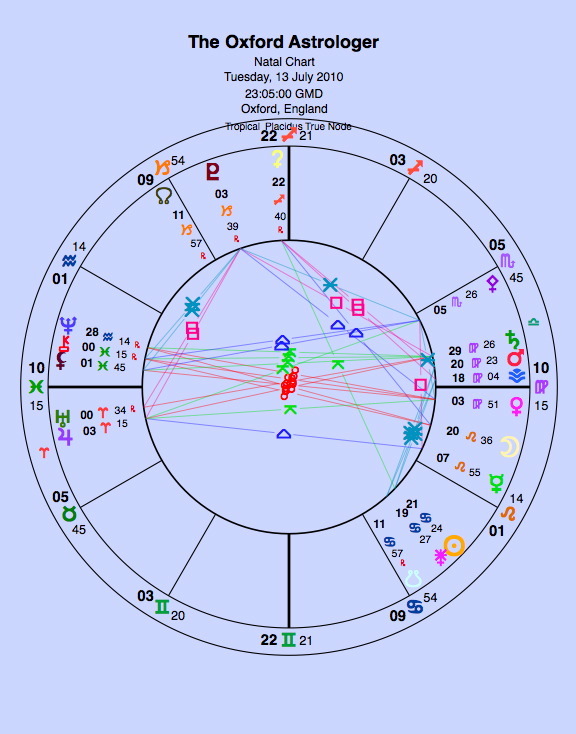 Born with a conjunction of Chiron, the maverick, and Lilith, the wild one, rising in Pisces, plus the shock troops of Uranus and Jupiter in the first house at 0° Aries, The Oxford Astrologer was never going to toe the party line. • Astrology can and should be tested against real-life experience. • Received ideas should be interrogated not regurgitated. • Archetypal myths and stories are all around us and through, tying us to the past, pulling us into the future and tethering us to the present. We are our stories. Some are shared and some are unique, but astrology is the (a) pattern card. • Astrology is not a static system. It evolves. • Respect tradition but don’t be a slave to it. Every time has its astrology, just as it has its skirt-length, hairdo, toga toggle, film stars and food fad. • Pictures are not decoration. They are essential. • If in doubt, return to the chart. What has emerged is a largish body of writing on all kinds of topics from Tahrir Square to Baba Yaga, from astrology in art to the art of astrology. In June 2014, the blog moved to WordPress in order to open up this archive and make it more accessible. Please read and enjoy, but respect the copyright. So what is the point of this blog? To bring astrology to life; to stimulate, amuse and even amaze you, yes you, the person reading this right now. I’ve immersed myself in astrology for years, and spent at least the requisite 10,000 hours honing my skills. 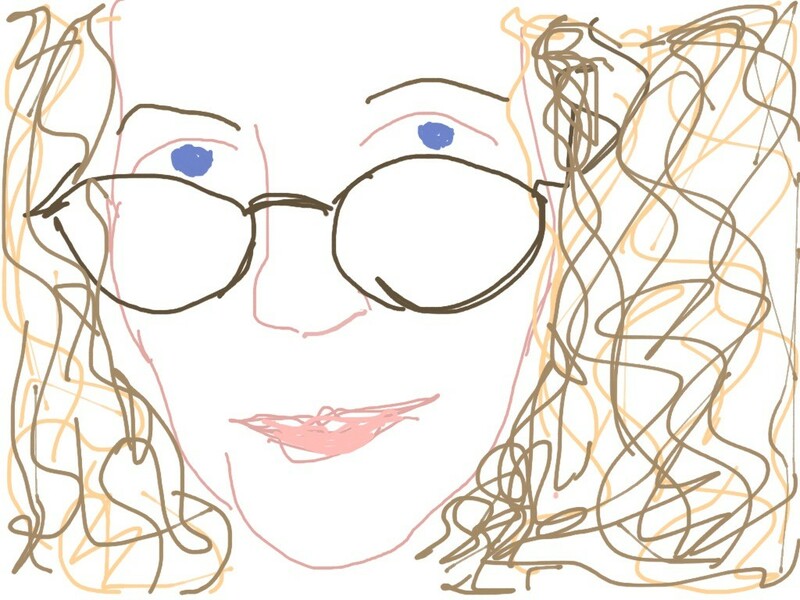 This blog is my own creation — sometimes my darling and sometimes my nemesis — and most of the content is written by me, Christina Rodenbeck — however there are some superb contributions from other writers too. Look under guests posts in the archive. You can also hear me once a month these days on Radio Oxford looking (very briefly) at the month ahead.